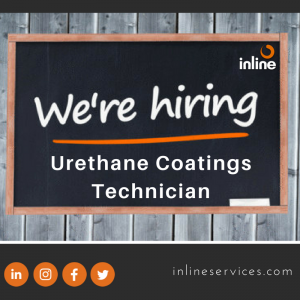 We are seeking an experienced urethane technician that possesses a strong background in urethane coatings of pipeline pigs. Previous experience in foam disc pigs, crisscross pigs, and foam pigs with brushes is highly desirable. Those that do not have the above experience need not apply. Pay will commensurate with experience. Sign on bonus will be available to highly qualified candidate. To learn more about this opportunity, please contact Mario Cortes at 281-401-8142. We also recommend that you send a completed application to teaminline@inlineservices.com.